I’m at an interesting juncture, these days. Christmas is coming, along with all the attendant seasonal festivities. Hanukkah is over, after today, while the holiday parties, shopping, gift giving, card exchanges, travel, and so forth, are continuing apace. For me, the activity continues till that magical week between Christmas and New Years, when my work shuts down, and I have time to decompress and catch up with myself and finishing off my book. And in the midst of this all, I can’t help but see all the holiday activities through the lens that writing Beloved Distance has permanently installed in my world view. So much of what’s happening around us — the connecting, the joining, the increased communication and reciprocity — parallels what’s happening deep inside of us. It’s all unfolding in a delightfully fractal manner. Like those myriad miniature biochemicals released into the gaps between our neurons, we flow into malls and main streets, exchanging money for goods, like so many neurotransmitters docking on their receptors and keeping the flow of information going through our wiring. And just as impulses travel the lengths of our nerves countless times a day, the highways are full of travelers, the vast majority of us (fortunately) getting to our destinations. Some of us don’t make the trip, or we turn back before we get too far down the road. And then there’s the return trip home, mirroring the signals from brain and spinal cord that get us to pull our hand away from the candle flame or get off the Lego piece hidden in the carpet at 11:30 p.m.
There’s constant interplay between our bodies and outward lives. The reduced daylight prompts variations on seasonal affective disorder, which compels us to make up the difference with colorful displays that light up dark neighborhoods. We compensate. Sometimes we overcompensate. But we tend to take over-the-top reactions with good humor, in fine “National Lampoon’s Christmas Vacation” spirit. “As above, so below,” some of my friends say. And so it is. 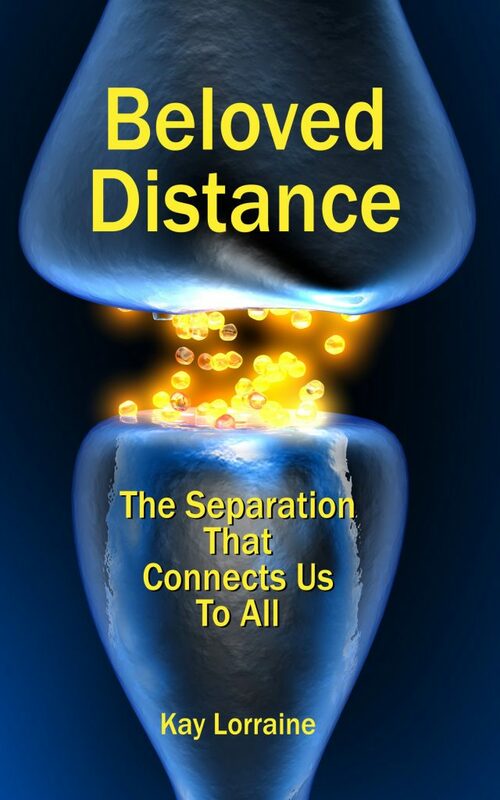 As within, so without — the same kinds of connecting we do on a microscopic, cellular level are playing out on a macro level. It’s all there, if you know where to look. This time of year, I think a lot about Charles Dickens’ classic “A Christmas Carol”. Of course, it’s a popular story that’s got enduring appeal. It’s been remade and retold many times over. The version I think of most is the 1969 animation. By modern standards, it’s crude. It’s more cartoon than animation. But it’s the version I love most, since it reminds me of my early childhood when I was enraptured by the story — as well as the medium. Back in the day, we had three (not 300) television stations, and not all of it was fit to watch. So, when something compelling came along, it had my full attention, and in this particular case, I just loved it. There’s a reason that story has stood the test of time. It explores our most innate and essentially human activities — connecting and contributing during the Holidays. It’s absolutely synaptic. And even more importantly, it warns us emphatically against refusing to participate. Its warnings don’t just apply to our social experience — they also apply to our neurology. And when you look at “A Christmas Carol” through a neuroscientific lens, you can find a whole lot of correlations with our innermost cellular processes — and what can happen when those processes go wrong. I’ve got to finish up my last morning of work before my holiday time off. But tomorrow I plan to live-tweet to “A Christmas Carol”, calling out the places where it’s all about our Beloved Distance and the good that happens when we turn our separations into connections… as well as the bad that happens when we don’t. But for now, it’s time to get some work done. I just read a fantastic article at The Atlantic – Net Neutrality Was Never Enough (how the internet is as much the enemy as it is the hero of contemporary life). It was a welcome respite of rational thought in the midst of the pitched battles raging to keep the (recent – and assumed good) regulations in place. In addition to being a public good that ought to be regulated, the internet is also an amplifier of panic, malice, and intemperance. Like it or not, those vices helped get the nation into the political moil it currently faces, from internet policy to immigration to taxation to health care—as well as to the validity of elections themselves. With great power comes great responsibility, and it feels like we have some catching-up to do, as regards the latter. In any case, it’s been tough to keep a clear head, when it comes to all the issues. The dire warnings about Terrible Things (with Capital “T”s) that can happen, if the Obama-era Open Internet Order were rolled back, sounded awfully familiar in form, as well as substance. This could open the door to despotism. It could make widespread surveillance that much easier. It could unfairly tax already strapped consumers and innovators. It was not a good thing, and we needed to join the fight to oppose it. The combative tone was familiar and reminded me of so many other political flares that have been fired into the proverbial fog-filled atmosphere that hasn’t had a chance to clear the smoke from the last set of flares, before the next set get shot into the collective consciousness. Reading the warnings — how they were phrased, what sorts of imagery they used — sparked the same type of visceral sense I’d gotten during the last presidential election cycle. More of the same. Of course, my sense of impending online doom is tempered by the fact that I was one of the first people I knew who actually embraced the internet before it was taken for granted. I lost count of all the hours I spent online at the local library in 1992, searching and researching and reading everything I could get on-screen on the dumb terminal that was connected to the fat pipe of the local community college. I was the first person in my family to have an email account. And I lobbied enthusiastically for my family members to get their own — especially my parents, so we could stop arguing about who said what, when (we’d have the email thread to confirm). I can well remember the experience of having a computer that wasn’t hooked up to the internet. And I still get a visceral response to the sound of a 28.8 baud modem chirping and tweeting. I remember the surge of anticipation, followed by uncertain will-I-get-online-this-time? trepidation when the phone connection failed and the modem went silent… and then the satisfying prolonged digital siren song that meant I was connected after a second (sometimes a third) try. When I upgraded to a 33.6, it was a whole new world. And to be honest, I still kind of miss that connecting ritual. I might still have my old 28.8 modem around somewhere. Those first few minutes of connecting back in 1995 were a mix of hope and trepidation, because A) I was about to connect to the rest of the world in ways that were never before possible, and B) it was going to cost me. I could easily run up a hefty phone bill, in the course of just goofing around. I’d done it before, by accident. And I didn’t want to do it again. I had to be vigilant. I had to watch my time. In 1995, I didn’t have a lot of extra cash to splash into the pockets of my ISP, so I had to make the most of every moment I spent online. When broadband came along, and I was no longer paying per minute for a connection, everything changed. And I’m not sure it was entirely for the best. I do know this — while I’ve turned that fascination into a solid career that’s let me provide nicely for my household, I’ve also lost a lot in the process. All those hours I sank into activities which ultimately didn’t produce anything useful or life-improving. All the energy expended on protesting issues which turned out to be bigger than anything I could have influenced. The friends I’ve (re)discovered, then remembered why we drifted apart as the old irreconcilable differences seriously disrupted my peace of mind. And the shift away from spending an afternoon curled up with a book, to sitting hunched over my laptop. Carpal tunnel. Back problems. Headaches. Extra weight that took years to work off. Online life has given, and it has taken away. Was that a real puppy? I may never know. All I know is that those 10 minutes … 10 hours… however many cumulative days… are gone. And what do I / we have to show for it? Here’s what: A sense of connection. To the world. To friends, family, and compadres. To ideas, thoughts, and concepts that I wouldn’t be able to access otherwise. Connecting online has become so easy, so relatively cheap, so ubiquitous, we just take it for granted. Then along comes the reversal of Net Neutrality. And all hell breaks loose. Or so it seems. And it doesn’t sound unfamiliar. Heck, that’s how it always used to be. The internet was slow and expensive and sparsely populated. And yet, we survived. What’s so terrible about interrupting our seemingly unassailable access to All The World All The Time? Here’s what: It’s threatening our livelihood — as in, the thing that most bring us to life: our connections. The very idea of limited access is a dark cloud looming over the ways we’ve become accustomed to interacting with the world. And in a world where More Is Better, that limitation is blasphemy. How dare the ISPs and telcos that keep the floodgates of information open threaten the very lifeblood of our modern life? Indeed, the thought plunges us into a chasm of uncertainty. When internet connectivity is the one given in our otherwise uncertain lives, threatening that puts us all on edge. Even people like me who don’t think the way things are now, is the way they should always necessarily be. Yep, reversing Net Neutrality poses an existential threat of sorts. And that’s bringing out the worst in people, who subsequently rely on their persistent internet connections to vent the full range of their consternation. Not only might this endanger the steady stream of movies and sports and gaming and other entertainment we’ve come to take for granted, but it’s impinging on our very ability to express ourselves wherever we want, however we want, whenever we want. If the new order is (supposedly) going to cost us more to tweet and post and consume, that puts a serious crimp in our 21st Century style. But this is about more than style. It’s about who we understand ourselves to be, and how we create ourselves in the world. It’s about just how much we’ve come to depend on connection. And yes, true to the prevailing theme of my life, these days, it’s about Distance… Separation… How we understand the gaps between ourselves and others, how we bridge those gaps, as well as how we increase our knowledge about certain topics and reduce the “conceptual distance” which separates the state of not-knowing from knowing. The crisis about Net Neutrality is, in my opinion, as much about our human need to connect, as it is about the threat of surveillance, control, or throttling innovation. It’s about us retaining our self-determination in the face of a rapidly changing world. And the drama extraordinaire is ample evidence of just how central connection across distance is to our very existence. If it didn’t matter, we won’t be getting so worked up. But clearly, connection matters — today, more than ever before. How we’ll continue to work with it, remains to be seen.